but it is still sunlight. we put it back in. Stop looking for one of the names. Move beyond attachment to names. and just waiting for us to sit down. "The earth is the Lord's, and the fullness thereof...." I know there is but One Mind, which is the Mind of God, in which all people live and move and have their being. I know there is a Divine Pattern for humanity and within this Pattern there is infinite harmony and peace, cooperation, unity, and mutual helpfulness. I know that the mind of man, being one with the Mind of God, shall discover the method, the way, and the means best fitted to permit the flow of Divine Love between individuals and nations. 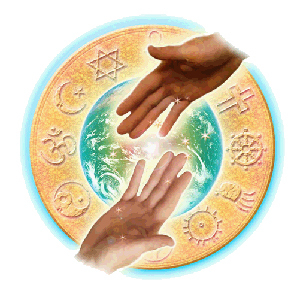 Thus harmony, peace, cooperation, unity, and mutual helpfulness will be experienced by all. I know there shall be a free interchange of ideas, of cultures, of spiritual concepts, of ethics, of educational systems, and of scientific discoveries--for all good belongs to all alike. I know that, because the Divine Mind has created us all, we are bound together in one infinite and perfect unity. In bringing about World Peace, I know that all people and all nations will remain individual, but unified for the common purpose of promoting peace, happiness, harmony, and prosperity. I know that deep within every person the Divine Pattern of perfect peace is already implanted. I now declare that in each person and in leaders of thought everywhere this Divine Pattern moves into action and form, to the end that all nations and all people shall live together in peace, harmony and prosperity forever. So it is--now.